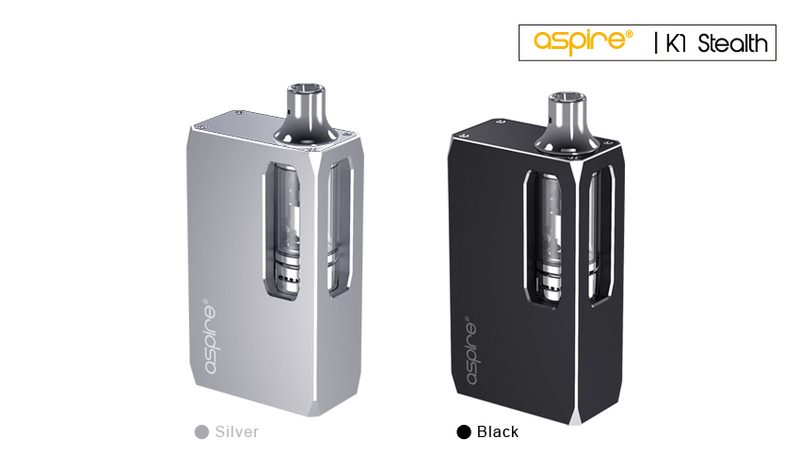 Aspire's K1 Stealth kit comes in two discrete, understated colors, Silver and Black, with well-placed cut-outs enabling you to see, at a glance, the e-liquid level in the K1 plus tank. 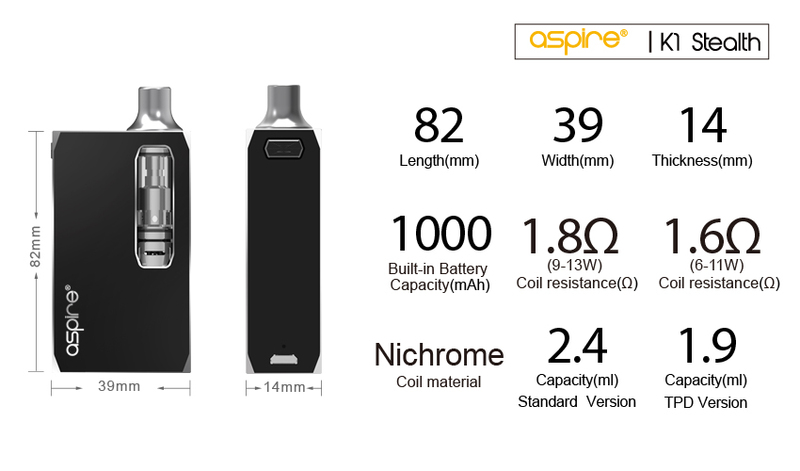 Aspire’s K1 Stealth Kit is truly palm sized being only 39mm wide and 21mm thick. 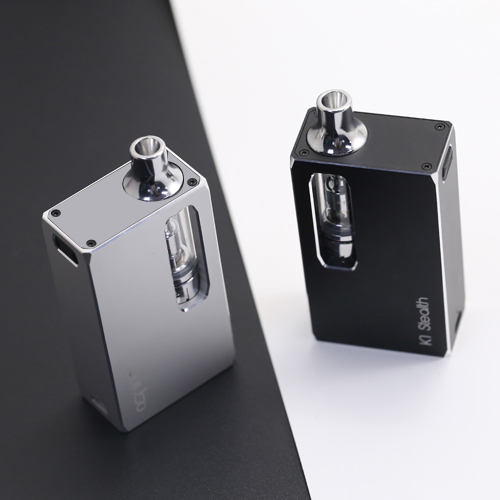 The K1 Stealth kit also comes equipped with three wattage settings allowing the user to choose and output of 8, 10, or 12 watts depending on the preference for a warmer or cooler vape. 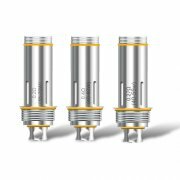 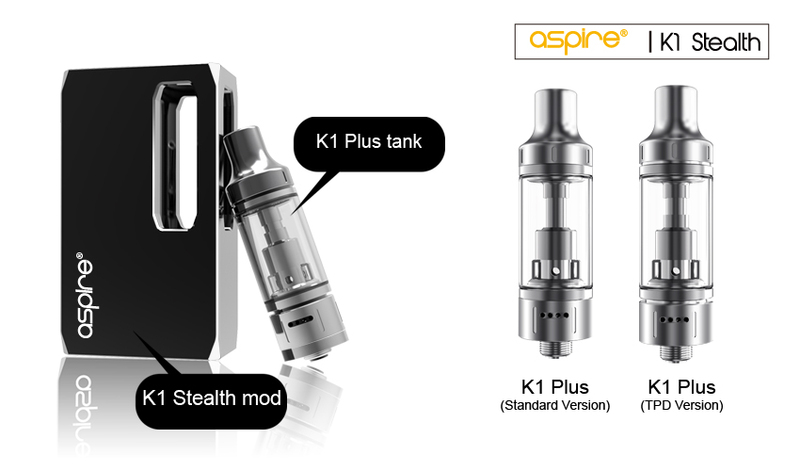 The K1 Plus tank comes in two versions, a ‘standard’ 2.4 ml tank and a TPD version with a capacity of 1.9ml for TPD regions. 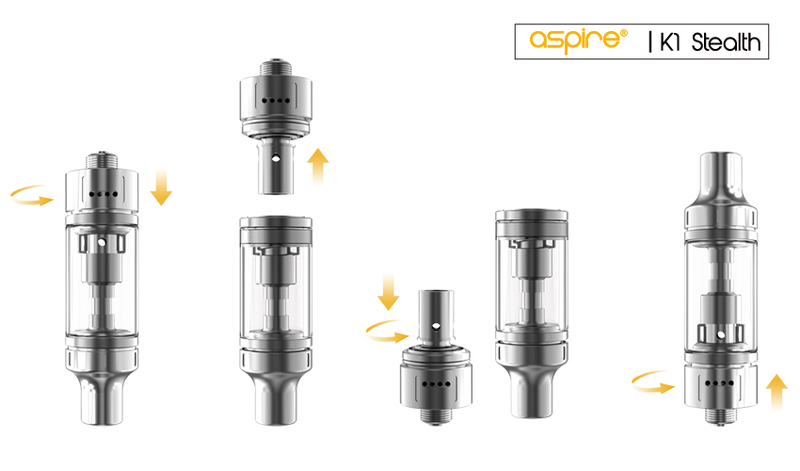 The K1 tank also has replaceable 1.8ohm coils and is also compatible with aspire original BVC coils and Spryte coils. 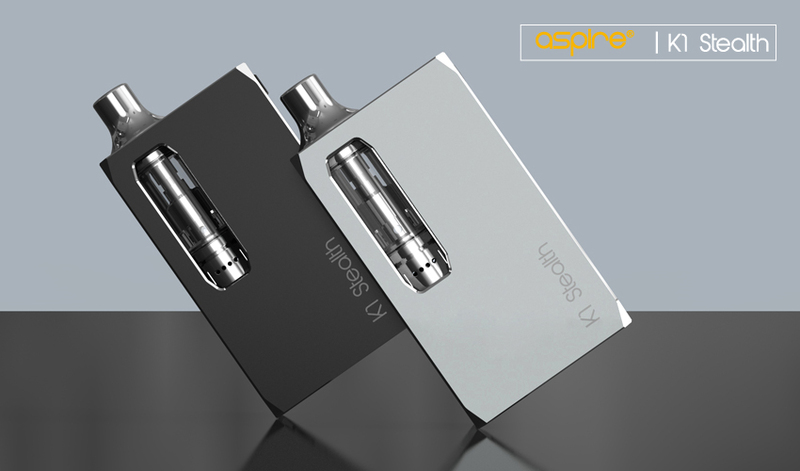 Both have adjustable airflow and the TPD version also has ‘child resistant’ features top and bottom. 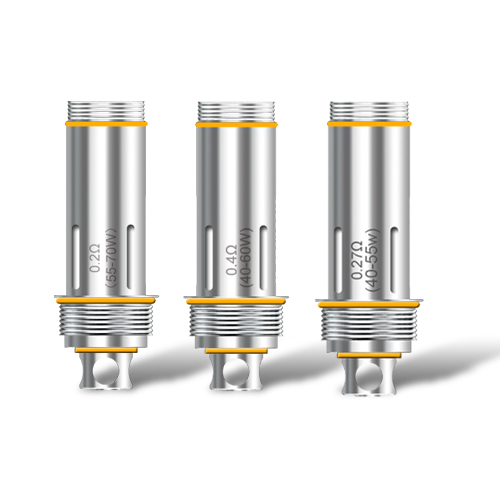 Filling the K1 plus tank is easy, just three steps. 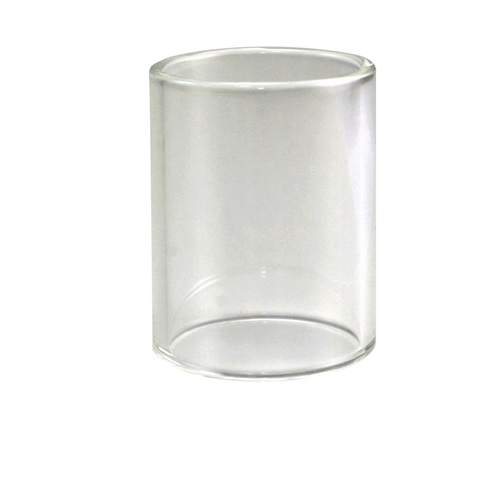 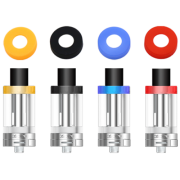 First, unscrew to remove the drip tip from the tank, then add your preferred e-liquid by pushing the tip of your filling bottle through the filling hole. 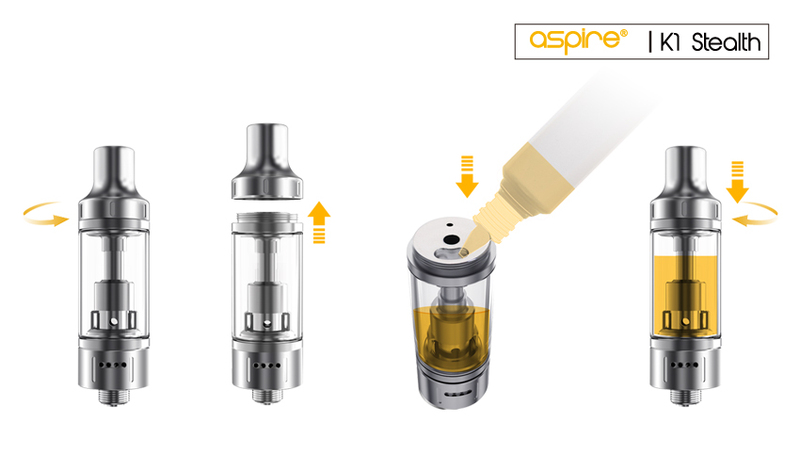 Finally, put the drip tip back on top of the tank and screw to secure it. 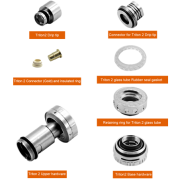 Three simple steps and it’s done. 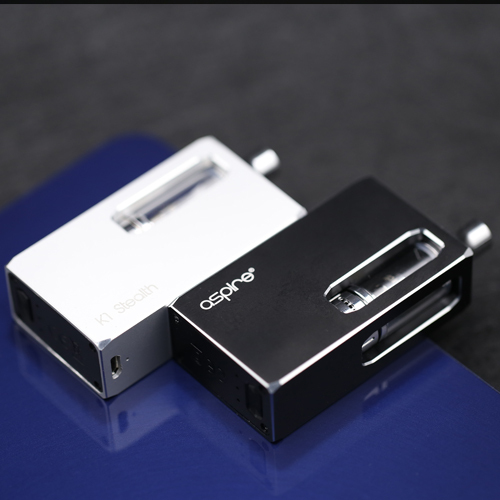 Both have adjustable airflow and the TPD version also has ‘child resistant’ features top and bottom. 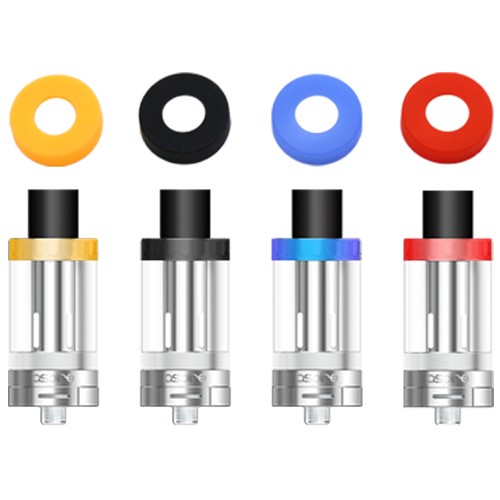 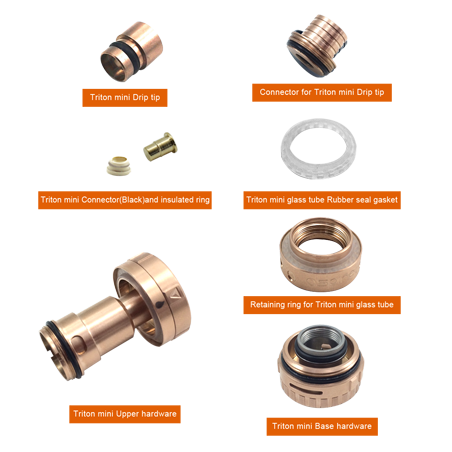 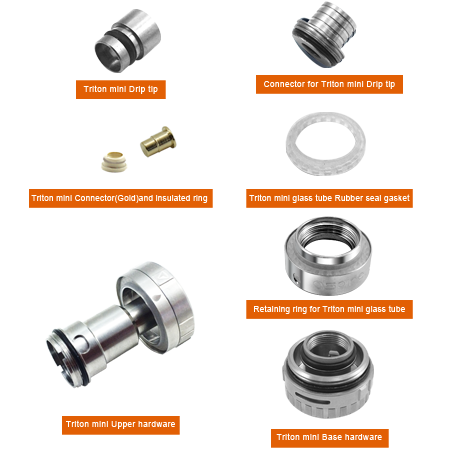 For the child resistant TPD version, it’s almost the same, to remove the drip tip, push down and turn to unscrew and remove the drip tip. 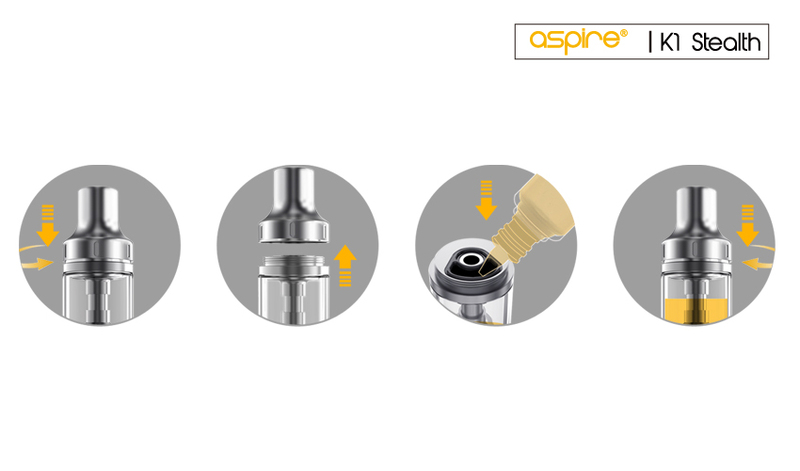 When adding e-liquid, by push the tip of your filling bottle through the self-sealing filling hole. 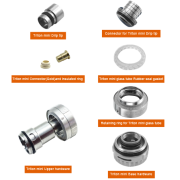 Then just reassemble remembering to push down and turn when replacing the drip tip. 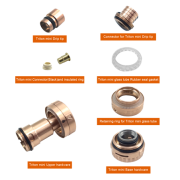 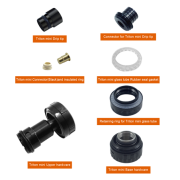 The TPD version is child resistant and the coil replacement steps are a little different. 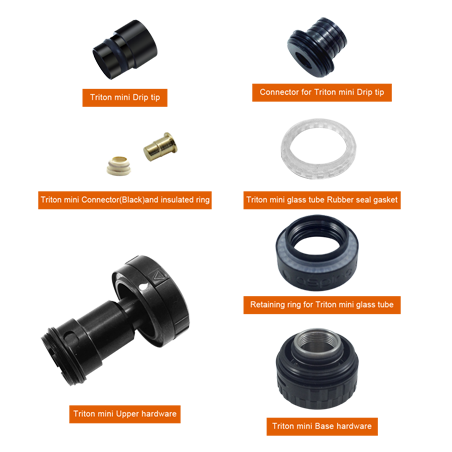 Invert the tank, push down the base hardware and unscrew to disengage it, then push and unscrew to remove the used coil then push and screw to install a new one. 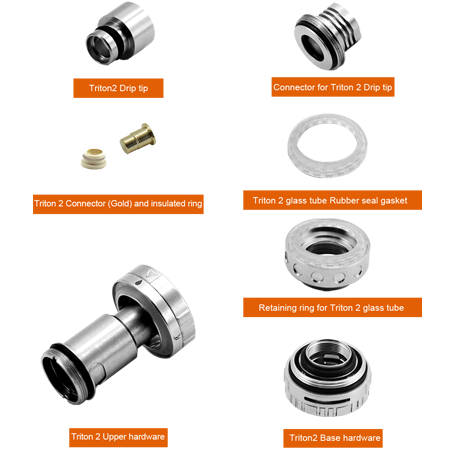 The base hardware is re-installed by pushing down and screwing in to relocate the base hardware. 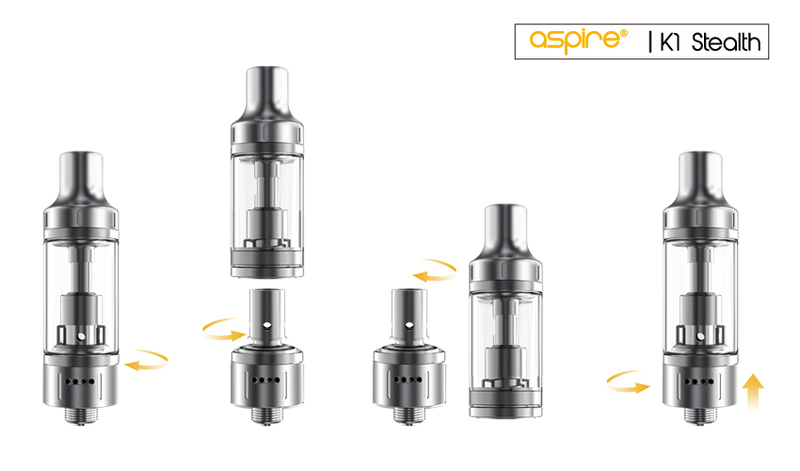 Simply screw the metal connecting ring to the bottom of the K1 Plus tank, then insert the tank into the mod, the tank will be drawn into the mod and be held in place magnetically, it couldn’t be easier. 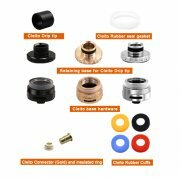 Note: do not drop the connecting ring into the mod by itself. 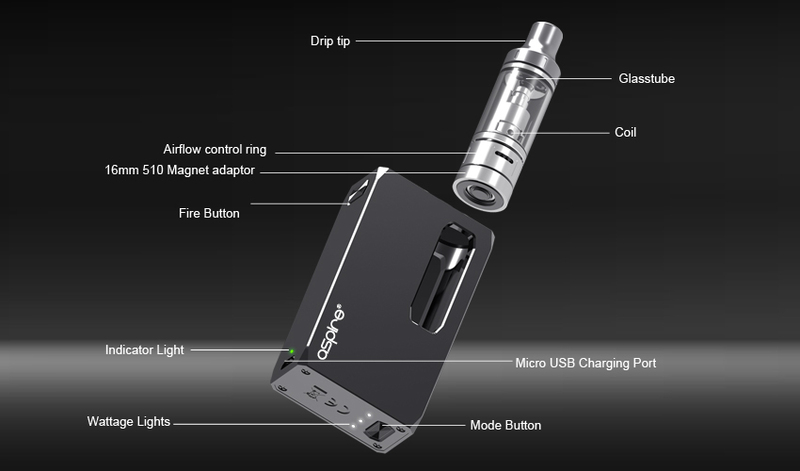 Ensure that it is securely screwed into place on the tank. In order to avoid dry burning and damage to the coil, please fill the tank before installation. 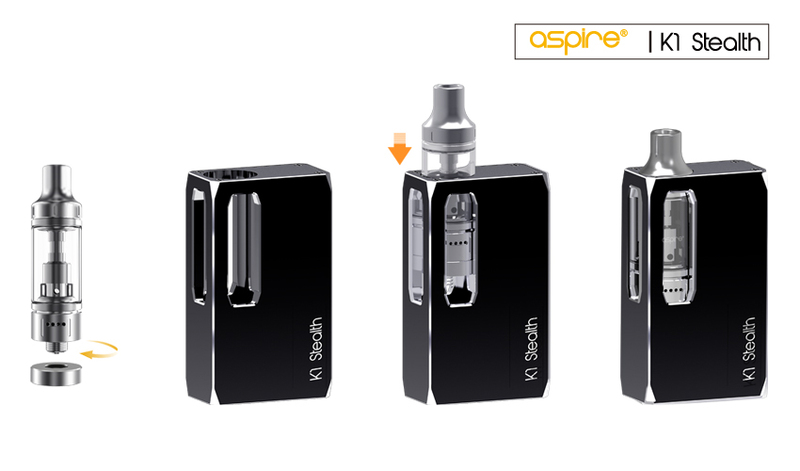 The Aspire K1 Stealth kit comes with all the safety features that Aspire is famous for. 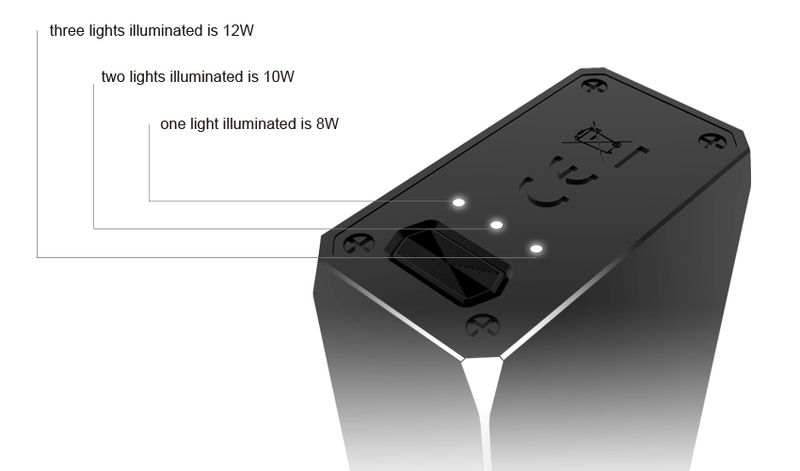 When the USB cable is attached, the indicator light will flash red 3 times. 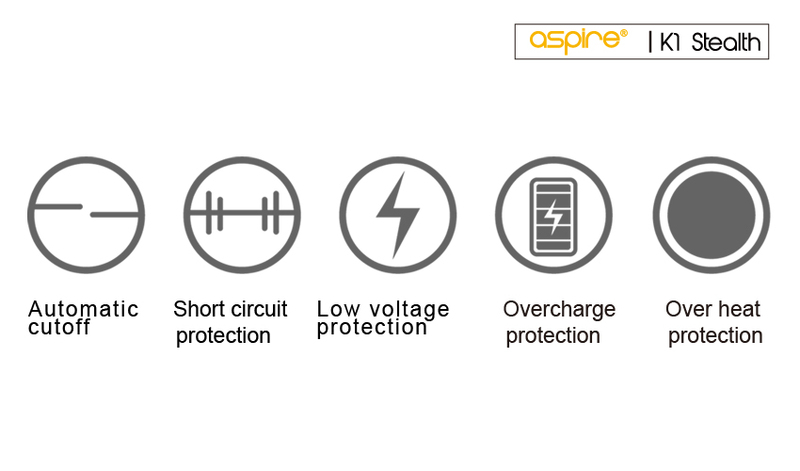 While charging the indicator light will indicate the device’s current charge status: 3.5 volts or less= red light; 3.5 to 3.8 volts= blue light; 3.8 volts and above =green light. 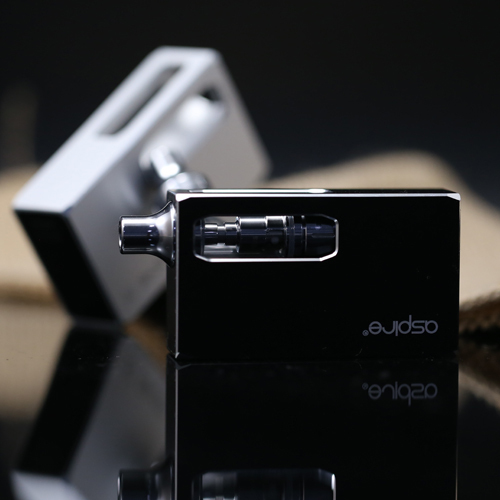 When the device is fully charged, the indicator light will flash green 20 times then remain off. 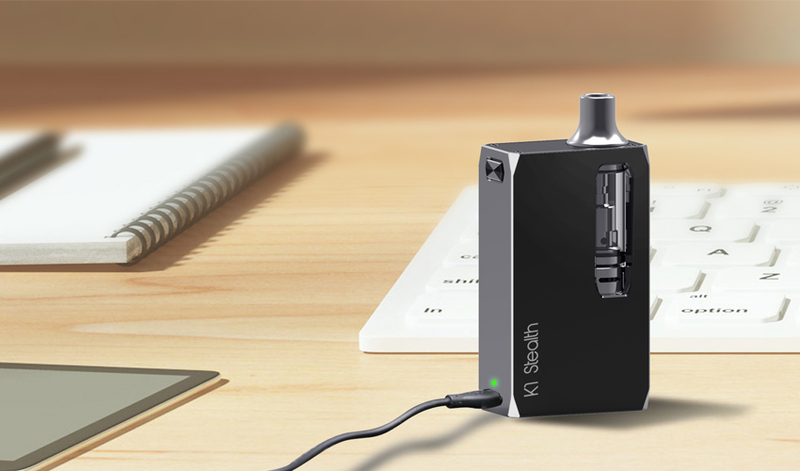 When unplug the USB cable, the indicator light will flash green 3 times.